Improved trade relations between Turkey and Pakistan in recent years have gained new momentum with agreements inked in the defense industry. 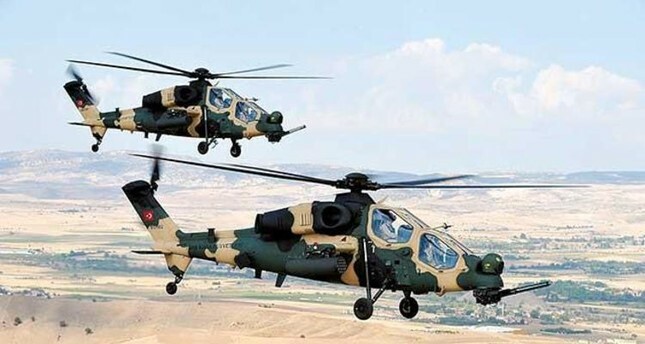 With the sale of ATAK helicopters and MİLGEM corvettes to be concluded in the next couple of years, billions of dollars will be added to export figures, which exceeded $400 million in the first 11 months last year. Pakistani Prime Minister Imran Khan's first formal visit to Turkey today, upon President Recep Tayyip Erdoğan's invitation, is expected to contribute to the discovery of new fields in economic and commercial cooperation. According to Turkish Statistical Institute (TurkStat) data, Turkey's exports to Pakistan have considerably risen over the past decade, to $352 million in 2017 from $155 million in 2008. Meanwhile, Turkey's imports from Pakistan declined to $323 million from $586 million in the same period, a 45 percent fall. Pakistan's exports to Turkey peaked at $873 million in 2011, while a downward trend prevailed over the following years. Turkey's exports to Pakistan amounted to $415 million in the first 11 months last year, marking the highest export figure to this country over the past decade. Also, imports from Pakistan stood at $305 million. In this context, the strengthening of economic ties, as well as brotherly ties, between Turkey and Pakistan, is of great importance. Pakistani and Turkish investors seem to have a broad commercial sphere to turn the potential in bilateral relations into opportunities. Products that Turkey exports to Pakistan include boilers, machines, mechanical devices and tools, electrical machinery and devices, cotton yarn, plastic products, ready goods made of artificial materials, video telephone devices, carpets, aluminum and aluminum goods and chemicals. On the other hand, cotton fabrics, soft drinks, alcoholic beverages and vinegar, apparel and accessories take the lead in Pakistan's exports to Turkey. The existing relations between Turkish and Pakistani defense industries experienced a golden era as a result of billion-dollar agreements signed regarding ATAK helicopters and MİLGEM corvettes in 2018. Following negotiations between Turkish Aerospace Industries (TAI) and the Pakistan Defense Production Ministry, a contract was signed for the sale of 30 T129 ATAK attack and tactical reconnaissance helicopters. In addition, the parties also reached agreement in a wide range of areas, including logistics, spare parts, training and ammunition. Thus, the largest defense industry exports ever in the history of Turkish Republic were carried out in one sitting. The production of corvettes needed by the Pakistani Naval Forces has been undertaken by Military Factories and Shipyards Management Inc. (ASFAT). Two of the four MİLGEM island class corvettes, cited in the agreement, will be produced in Turkey, while the remaining two will be produced in Pakistan. STM Defense Technologies Engineering and Trade Inc. has increased its business share in Pakistan by winning the tender for the modernization of the submarine announced by the Ministry of Defense of Pakistan against the French company that built the submarine. STM was also preferred for the modernization of a second Agosta 90B class submarine. STM also successfully completed construction of the PN Fleet Tanker (PNFT) and delivered it to the Pakistan Naval Forces in October. Having recently undertaken important responsibilities in the modernizing and boosting the capabilities of the Pakistani army, the Turkish defense industry is preparing to carry out new projects in the country in the upcoming period.